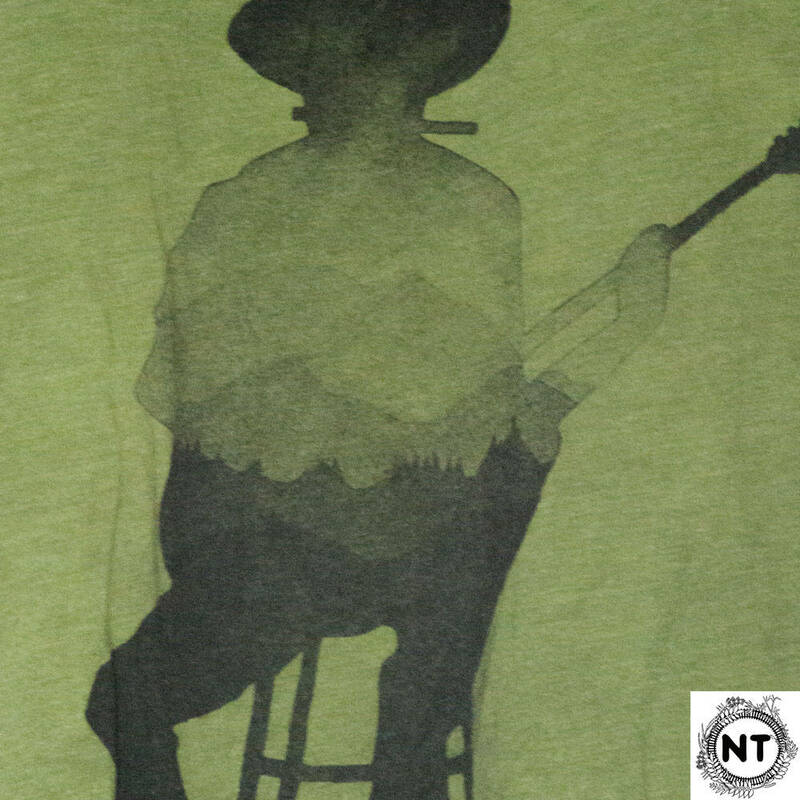 This is a silhouette of a man playing harmonica and guitar, with a misty mountain range as the interior. Inspired by Bob Dylan, Woody Guthrie, and the Northwest. This design is printed by hand with water base ink, and is heat set for machine washability. The ink is ECO friendly, has a light, soft feel to it, and is printed in Black ink on a hand dyed olive color tank top. 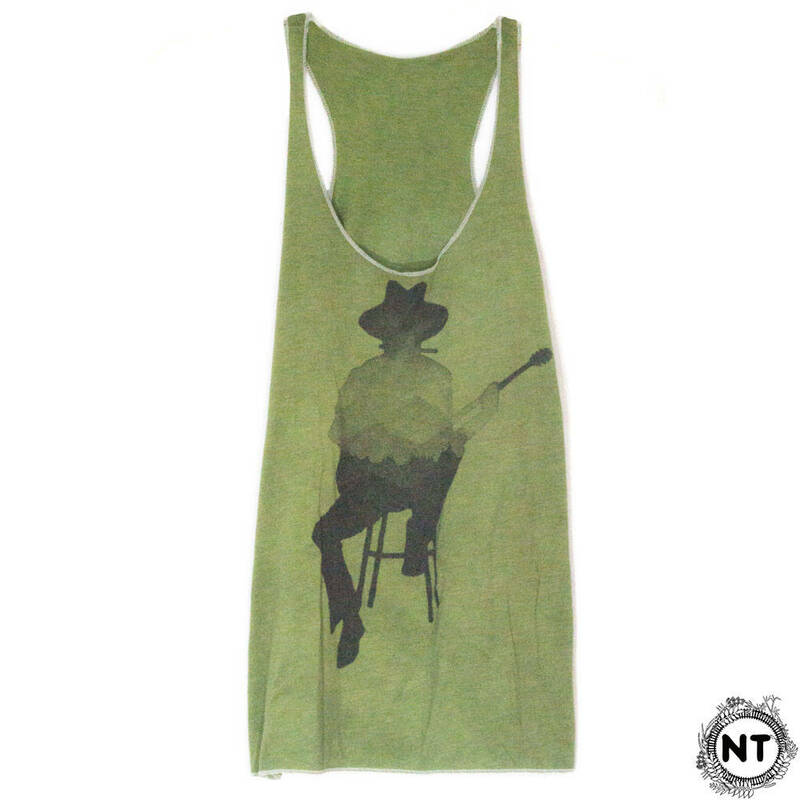 (Women's racerback tank). I dyed it in a bucket, and there is some uneven tone to the color, that adds to the uniqueness. --It is recemmended to wash your tank in cold water and dry it inside out on a low setting. --The fabric is super soft like your favorite vintage shirt, and doesn't noticeably shrink when you wash it. --They are long, and drape nicely over jeans, can be slimming when paired with leggings. --Can be rather low cut for some women's preference, but looks cute with a camisole. 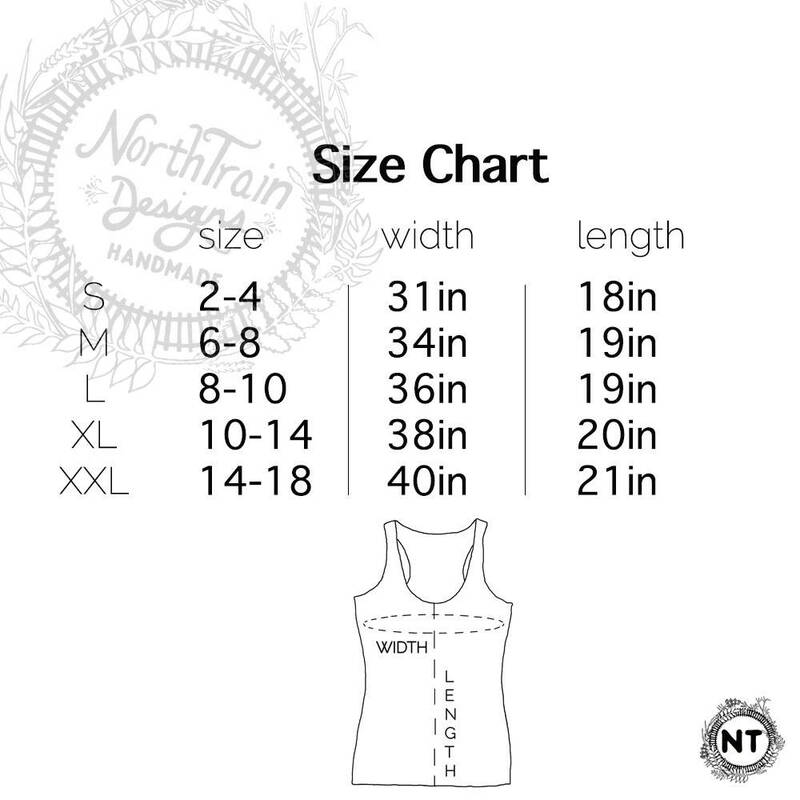 There is a size chart located as the very last picture, so be sure to cross reference this with your favorite tank to ensure fit.